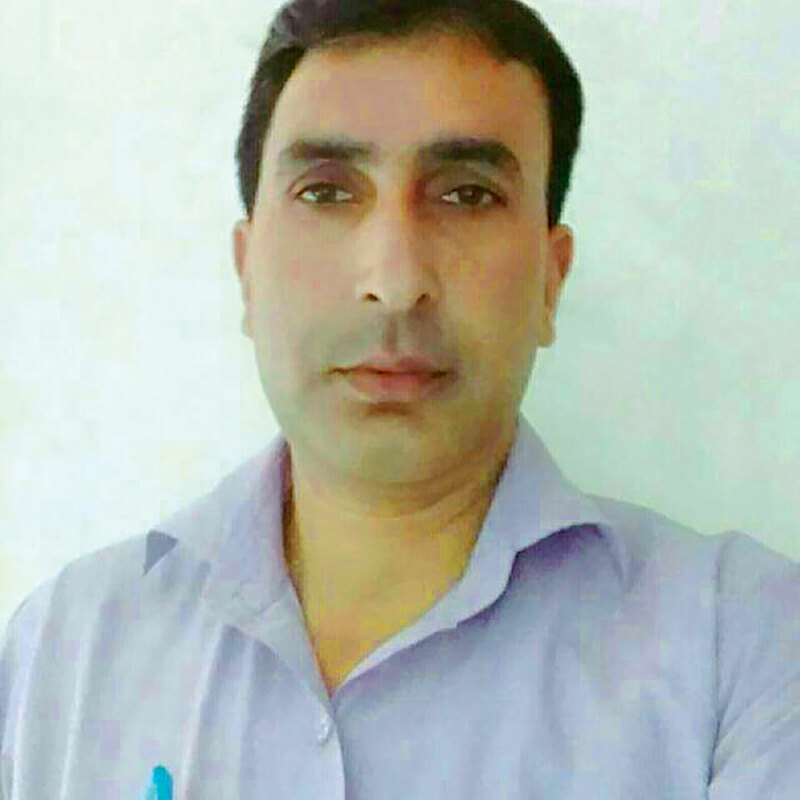 As a government school teacher in Jammu and Kashmir, I have the experience of teaching up to the higher secondary level. So, I know the plight of the teachers, working under Sarva Shiksha Abhiyan (SSA) in the state, who routinely remain without salaries for three to five months. Their plight is ignored; their pleas not heeded. It is unbelievable to see that in the place where teachers are known as nation builders, there is little regard for not less than forty-one thousand SSA teachers when it comes to paying them their dues. They get their salaries three to five times a year on festival days only. Reports of this discrimination and exploitation of several years can fill volumes. Although it is often reported in the press, unfortunately, the inhuman practice seems far from ending. At present, the teachers are again without salaries from July and the 7th pay commission (7th PC) is still a dream for them. 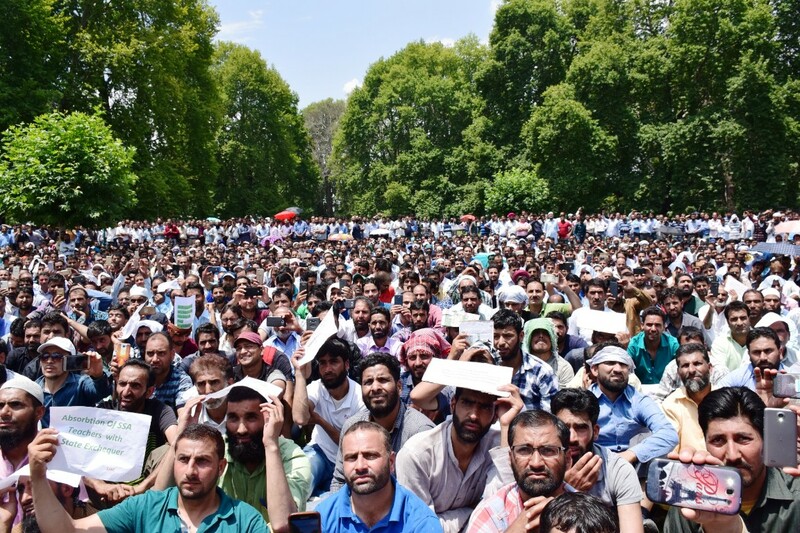 Many SSA teachers confided that the continuous non-payment of salaries for three to five months and the non-implementation of the 7thPC for them, is heavily affecting them mentally, financially and socially. One colleague said that he is unable to concentrate on anything because of the family worries that have affected him. “The various family issues, concerns and the uncertainty of the job and no money – all have deprived me of sleep, peace of mind and made me restless,” he told me. Another SSA teacher confided that each morning and evening, he does needlework to earn some money for his family. “I also avoid going to school daily and instead do apple related tasks- packing, pruning, etc. to earn for my family,” said the teacher. The bitter truth is that these teachers are treated scornfully. They are dubbed as ‘bonded labourers or irregular teachers’. These words do more damage than a toxin. Moreover, about 70 per cent of SSA teachers have no other means of income than the salary. However, unfortunately, it seems that these teachers are presumed to have other means of income as well, putting them into further trouble because no one believes that they are living a miserable life in the absence of their salaries. Truth is that the financial position of these teachers is extremely bad. They fail to pay water and electricity bills and the school dues of their children. What hurts the most is that the department time and again releases a month’s salary for these teachers after three to four months. This salary goes to debtors like banks, leaving these teachers without a penny. Socially, these teachers are facing humiliation and scorn openly. They are unable to build houses, do marriage of their family members, buy clothes and medicines for their families. To meet these needs, they have borrowed money from banks, their friends, relatives and neighbours. Failing to repay the debt, they get humiliated. A Facebook user wrote, ‘Not in a position to buy a PHIRAN for my family because I am SSA ReT’. A fourth class employee of the education department or any other department gets salary along with the PC benefits at the end of each month. But SSA teachers get nothing at all – no salary, no other service benefits though they regularly attend their duties. Besides, these teachers are used for doing other duties as well like BLO duty, Census duty, election duty and Winter Tutorial duty. Additionally, all SSA teachers conducted various exams of the year. In this important job, they have fully cooperated with the state although they are without salaries and the service benefits. In return, the state must honour their services by providing them timely salaries but also rewarded them with the other service benefits. However, the life of these teachers has been made miserable by pushing them into a deep family financial and social problems and miseries. Every minute of these teachers is spent painfully without money. A dispassionate study into the plight of these teachers will be indicative of the kind of life that these teachers are living in the absence of the salaries for months together. After protesting hard for a few months this year, the pleas of these suffering teachers reached the ears of the Governor administration. The administration tasked a committee on August 13 to report on November 11 concerning the issues of these teachers and the remedies to resolve them. But no such report is visible and there is no progress. Things have not improved for SSA teachers. To address this grave humanitarian crisis, the government has to take a stand. We cannot forget the sacrifices of these teachers and deprive them of their salaries. They have families whose survival depends on the wages these teachers earn. The other employees and the other categories of teachers are paid well in time. Only these teachers are forced to wait for months together for their earned salaries. As such, they live in fear, hunger and uncertainty. Why not listen to their pleas and have mercy on their plight? Besides, even the Governor administration’s credibility is at stake. A Governor’s word is final. He promised in September to resolve the issues of SSA teachers but the issues are still unresolved.